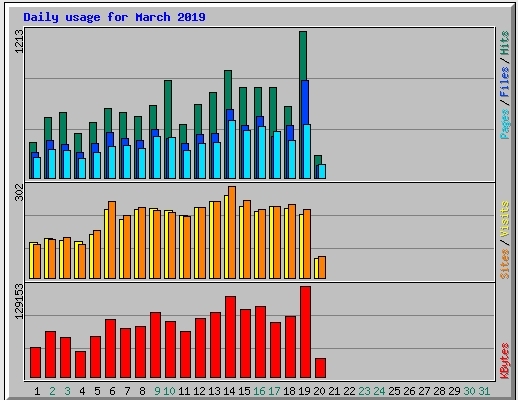 March 13, 2019 - I haven't been posting any comments here for the past few days because I've been busy working on my scientific paper about Visualizing Photons. I don't want to comment on what I've been writing, since every time I did that in the past I quickly realized that what I had just written might be wrong. It's better for me to do the writing on the paper, instead of on this web site, since writing here leaves a trail of my mistakes. Plus, I see nothing happening at the moment that cannot keep until my Sunday comment. 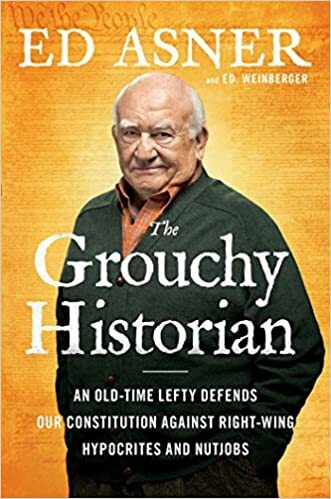 March 10, 2019 - Around 3:40 p.m. on Friday afternoon I finished listening to the audio book version of "The Grouchy Historian: An Old-Time Lefty Defends Our Constitution Against Right-Wing Hypocrites and Nutjobs" by Ed Asner. I considered writing a comment about it at that time, but I decided I needed more time to think about what I'd just heard. I could have written about it on Saturday, too, but the book seemed to fit in with other things I wanted to write about, so I decided to save my comments until today, Sunday. Plus, I needed more time to think about it. There were several occasions early in the book when I considered abandoning it and moving on to something else. But then I'd digest what I'd just heard, and I'd continue listening. I think the problem was that I didn't know what to expect from the book. It was a book written and narrated by an 86-year-old actor who clearly dislikes Conservative Republicans. I also couldn't tell where it was going and what Asner was trying to argue - other than that Conservative Republicans are lying hypocrites. But I gradually came to see that his point was much MUCH bigger than that. Unfortunately, since I listened to the audio book version, I can't copy and paste sections from it. The best I can do is transcribe things, either from Amazon's "look inside" option or by finding sections in the audio book and transcribing things from that. Nobody thumps the Constitution like a Right-Wing Republican. Conservatives love the Constitution, invoking its very name - even more than the Bible and Ronald Reagan - as all the proof they need that God is on their side. It's not enough that they think they own the Constitution; they act as if they wrote the damn thing. The Framers wrote the Constitution in order to form a strong central government, giving powers to Congress (not the states) and balanced by an equally strong executive branch. America was colonized by people who came here looking for a better life and by people looking to get away from religious persecution. Unfortunately, people looking to get away from religious persecution are generally also people who want everyone to follow their religion, which they feel is the only correct religion. And they don't want any heathens around them who believe differently from what they believe. So, 11 years after the signing of the Declaration of Independence, when the Convention was held in Philadelphia to draft and sign a new Constitution, we had a country full of clusters of people with conflicting religions, all looking to create an America in which everyone would be required to believe as they believed. And, if they couldn't create a country that works that way, they would try to make their state work that way. Deism: belief in the existence of a supreme being, specifically of a creator who does not intervene in the universe. The term is used chiefly of an intellectual movement of the 17th and 18th centuries that accepted the existence of a creator on the basis of reason but rejected belief in a supernatural deity who interacts with humankind. In other words, they believed a God created the universe, but God had nothing to do with anything that happened after that or with anything humans did. The point is: The Founding Fathers wanted to create a country where people of all religions could live together without everyone trying to convert anyone else. The Founding Fathers were all land owners and wealthy people, most of whom owned slaves. The idea of giving women the right to vote would have been totally crazy to them. They just didn't want the states fighting with one another, and they wanted a government that could defend itself from anyone anywhere who might try to take over and make the country operate their way. Interestingly, the Founding Fathers wanted the country to have a standing army, while the states were generally opposed that idea, since they saw a standing army as being able to come into their state to force them to do things the government's way. Plus the states felt that a standing army was a temptation to go to war. In short, the Framers of the Constitution wanted a country where people could negotiate solutions to disagreements without fighting and without creating pockets of zealots who want everyone else to do things their way. Creating a Constitution was a matter of argument and compromise. As soon as the Constitution was written, some of the Framers saw problems with it. So, they then added the Bill of Rights at the end. There were 55 delegates to the Constitutional Convention, but only 39 actually signed it. Of the original 13 states, Rhode Island was the only state to boycott the convention - because their delegates were all Baptists who evidently wouldn't meet or argue with anyone who was not a Baptist. THEM: The Constitution gives everyone the right to own a gun. ME: The Framers didn't want everyone to have vote, let alone a gun. THEM: James Madison is the "author" of the Constitution. ME: The Constitution is the greatest"cut and paste" job since the New Testament. THEM: The only way to interpret the Constitution is to determine what the Framers were thinking when they wrote it. ME: You can't even figure out how the Framers took a piss in pants without a fly. How do you expect to figure out what they were thinking? I could go on and on. There are lots of absolutely fascinating things in the book. And sometimes it is also very funny. But when you stop and think about it all, it is also very depressing. You come away with the feeling that it is nearly impossible for human beings to get along with one another. You also get the feeling that the Founding Fathers realized that and tried to create a country where you could negotiate differences instead of slamming doors or starting fights. I was also a bit stunned when I finished the book and started listening to the next podcast on Sean Carroll's science web site that I felt might be of interest to me. It turned out that Carroll's guest for the Feb. 4, 2019 session was Naomi Oreskes, author of the book "Merchants of Doubt: How a Handful of Scientists Obscured the Truth on Issues from Tobacco Smoke to Global Warming." (It's now on my "wish list" at the library.) They talked about global warming, which is something else that Conservative Republicans disagree with. Her book shows that while the vast majority of scientists believe global warming is a real problem, there is a tiny group of scientists who disagree. And some of those scientists work for the companies that are the causes of the problems. Most stunning of all: The same scientists who argue that smoking does not cause cancer also argue that global warming isn't real. And so, if you ignore who has the better facts and what the facts actually say, you can argue that it is just a matter of opinion. And that is what the Conservative Republicans do. Interestingly, Naomi Oreskes doesn't argue the the naysayer scientists are lying and just making claims to get money from their employers, she feels those scientists (who she names in her book) actually believe what they claim. It's just that, as with so many scientists I've encountered on the Internet, their minds are closed to any possibility that they might be wrong. So, you cannot reason with them. If you try, they just shake their heads and chuckle at your stupidity. And in a country where everyone is entitled to vote, the person who believes what he or she wants to believe has the same power as a person who examines the facts and accepts what the facts and evidence say. President Trump got elected by people who ignore facts and believe what they want to believe. And in spite of what two years of facts and evidence show about Trump's lack of intelligence and leadership abilities, it seems there is an excellent chance that those same people will again vote for Trump in 2020. Sean Carroll: You’re optimistic about finding it? By finding it we mean literally taking a picture. Mike Brown: Yes. In the end, it’s a hypothesis that I am convinced is true. No one else need believe it until we go see it. Sean Carroll: Are people basically optimistic about it? Or are people scoffing? Sean Carroll: It should be. Right. Mike Brown: That’s right. That’s the way to be. Then there are the no way, it’s impossible, I’m going to prove you wrong. They try. Sean Carroll: Yeah, knock yourself out. Mike Brown: Yeah. They haven’t succeeded yet. There are only 36 podcasts on the Mindscape site. I've got 9 left to check out before I move on to some other web site. This morning I realized I should search for podcasts about photons, and when I did so, I found that the British BBC-4 web site "In Our Time" has a 43 minute podcast about photons. (I then listened to it. It was excellent, but I'll probably have to listen to it a second time to grasp all that it contains and to transcribe a key part about photons surrounding electrons.) When I finish going through the Mindscape podcasts, I'll then have to decide which collection to focus on next. Or should I intermix humor podcasts with science podcasts? I may get tired of listening to podcasts someday, but right now I'm finding it totally fascinating. I'm doing it in the evening instead of watching TV. The strangest thing about podcasts is that I do not know anyone else who listens to them. And yet they are undoubtedly extremely popular. It makes me think of all the entertainment options we have today. There was a time when we only had a few local radio and TV stations and everyone you knew listened to or watched the same things. Now it seems that everyone you know is listening to or watching something different. Is that good or is that bad? Uh oh. I was just notified that the audio book version of Ed Asner's book "The Grouchy Historian" was automatically borrowed and placed in my library file. Sigh. When I turned on my computer this morning, I was advised that I'd automatically borrowed the audio book version of Robert A. Heinlein's sci-fi novel "The Moon is a Harsh Mistress." So much to do and so little time to do it. March 6, 2019 - I'm learning a bit about podcasts - particularly science podcasts. I've been sampling science podcasts from various sources, but mostly I've been listening to Professor Sean Carroll's Mindscape podcasts. I began by picking about ten that I thought would be most interesting based upon how they are described on the Mindscape web site. It turned out that some of them I just didn't find interesting and stopped listening before they completed, and some others were okay but not worth mentioning or writing a comment about. 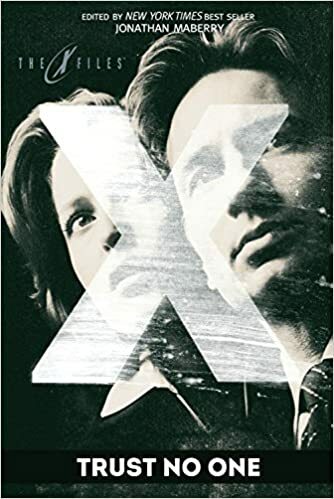 Then I started going through the remaining episodes that I felt might possibly be of interest, and right away I found one that was to me absolutely fascinating. It was an interview with an science fiction author, Annalee Newitz, who talked about the process of writing books and how different authors have different methods. It really hit home with me, since I'm constantly writing. That part of the interview probably stands out as most interesting because it so totally fits with Donald Trump's thinking. Trump can never admit to making a mistake, so he finds ways to justify what he does and believes. And he sees nothing wrong with arguing that he is right and all of the intelligence experts are wrong. He and his supporters somehow believe they are right in rejecting climate change, even though there is a mountain of evidence that says climate change is real. It's a perfect example of cognitive dissonance. The average Republican thinks over a third of Democrats are gays or lesbians and the correct answer is closer to 6%. I first came across the term "cognitive dissonance" in the 1984 book "The March of Folly" by Barbara W. Tuchman, which I have in hardcover on the bookshelf behind me. I remember getting into lots of arguments about cognitive dissonance while discussing the anthrax attacks of 2001. I have web pages which mention cognitive dissonance HERE and HERE, and I mentioned it in my May 30, 2010 comment HERE, and in my very long May 26, 2013 comment HERE. I just never used it when discussing Donald Trump before. I suspect I'll be mentioning it a lot more from now on. March 5, 2019 - I had to re-do my Wisconsin state income tax forms this morning. The automated on-line procedure worked, but I while laying in bed this morning I realized the result was wrong. Fortunately, it appears that you cannot file Wisconsin tax forms on-line. So, I had to go to the Wisconsin State Department of Revenue web site and fill out the forms there. There I corrected the problem. Then I printed them out so I can mail them. It took about an hour. Meanwhile, someone who read the comment I wrote yesterday mentioned a book that he felt might interest me. It's "The Grouchy Historian" by Ed Asner (who played Lou Grant on The Mary Tyler Moore Show.)" At first, it didn't seem all that interesting. I checked my local library, and they had two audio book copies of it, but none immediately available. My "hold list" is currently filled to capacity (10 books). Putting it on that list would mean that it would be automatically borrowed when a copy became available. I couldn't add it there without taking something off the "hold list," so I added it to my "wish list," which has a capacity of 5,000 books. I currently have 17 books on that list. Putting it on that list means I'll have an opportunity to borrow it if it becomes available and I can grab it before anyone else does. I just have to check the list once or twice a day. After thinking about it a bit, I decided to listen to the 4 minute free sample the library provides for audio books. Somehow, I assumed the book was written long ago. It turns out the book was published on October 10, 2017, and the 4 minute sample has Ed Asner (who narrates the book along with John Amos) grumbling about Donald Trump. Ah! That suddenly made the book a hell-of-a lot more interesting. I moved a Janet Evanovich detective novel from my "hold list" to my "wish list" and put Asner's book on my "hold list." It'll go near or at the top of my priority list when it is automatically borrowed. At breakfast this morning I started reading the Kindle version of "Team of Vipers," by Cliff Sims, another book about Trump and his Presidency. It looks interesting, too. March 4, 2019 - Yay! I completed doing my income taxes. It took all morning, but I think I'm done. I've received notice that my federal forms were accepted, and now I'm just waiting for email notification that my state tax forms were accepted. That's one item that is now off my mind and is no longer preventing me from focusing on other things. At lunch I completed reading another book on my Kindle. 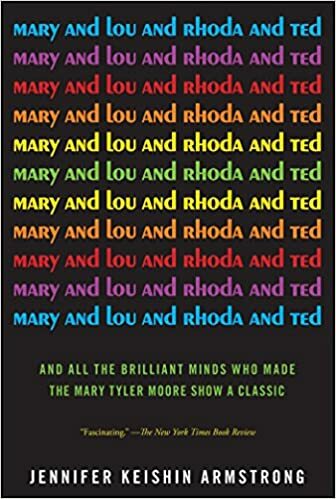 It was "Mary and Lou and Rhoda and Ted: And all the Brilliant Minds Who Made The Mary Tyler Moore Show a Classic" by Jennifer Keishin Armstrong. I decided to read the book because I'd just finished reading "The Shadow President: The Truth about Mike Pence," and I was looking for something funny and enjoyable after that depressing read. "Mary and Lou" seemed like it might be what I was looking for, and I enjoyed "The Mary Tyler Moore Show" when it aired from 1970 to 1977. (It's hard to believe it first aired 50 years ago, and Mary Tyler Moore died at age 80 in 2017.) The book, however, turned out to be more sentimental than funny. While there were certainly funny parts in the book, and it was definitely worth reading, by the time I was about half way through I decided to finish it as fast as I could, so I could start something else. First I just read for hours at a time in the afternoon, and then I began speed reading. Now I'm done and I need to make up my mind what to read next. I suspect it will be another book about politics. I'll make up my mind tomorrow at breakfast. March 3, 2019 - I seem to have hit a thick fog bank in my quest to understand and visualize photons. But, it's my own fault. 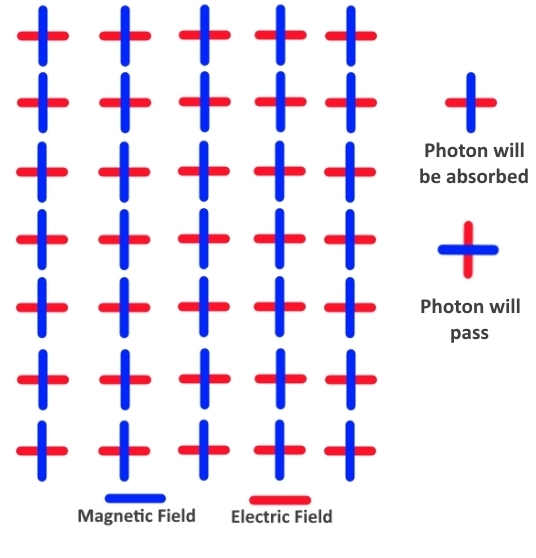 I set out with the relatively simple goal of explaining the Double Slit Experiment using photons instead of light waves, and I somehow got bogged down on how photons work inside an atom and IF photons exist inside an atom. 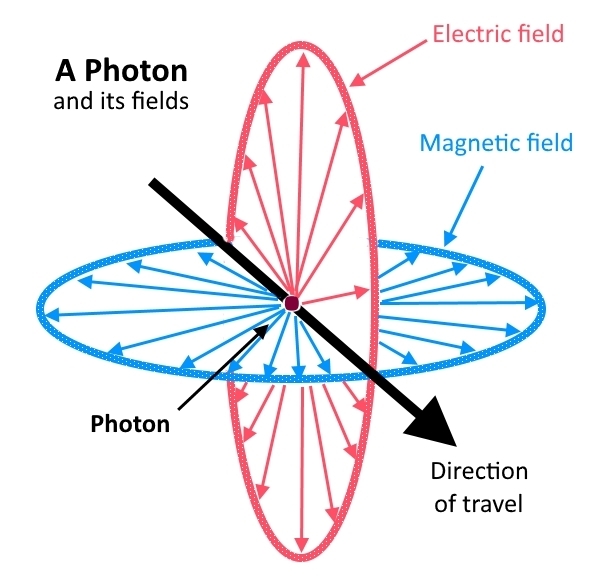 It is generally agreed that when a photon hits an atom, the atom absorbs the photon, which causes the atom to become unstable, and the atom then emits a new photon so that the atom can be stable once again. 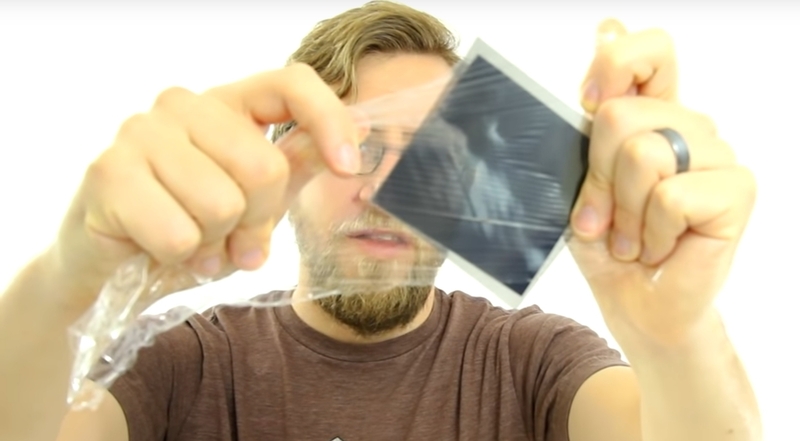 That is how light is created. One question that pushed me into the fog bank is whether or not there are already photons inside the atom acting as "glue" to hold the atom together, as claimed by Cal-Tech's Prof. Sean Carroll. 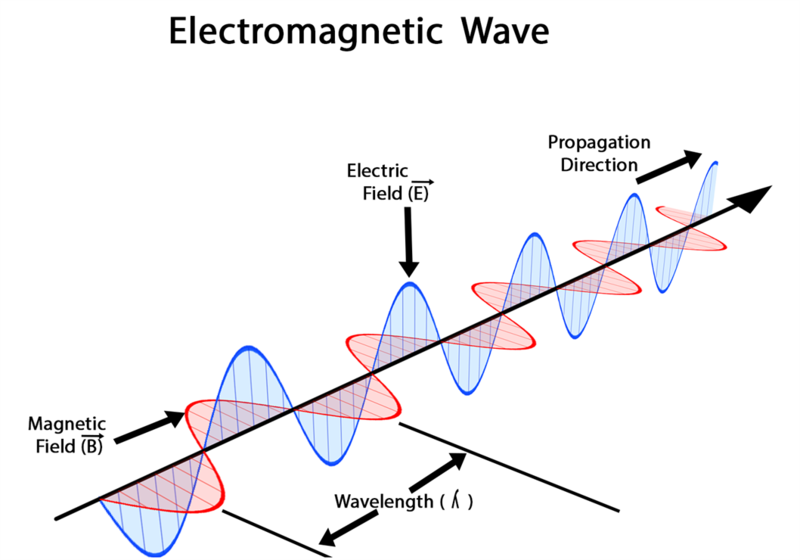 Another question is whether the photon combines with the outermost electron or just pushes the electron to a higher energy level. There are sources which explain things both ways. But, either way, it really doesn't seem to have anything to do with the Double Slit Experiment. 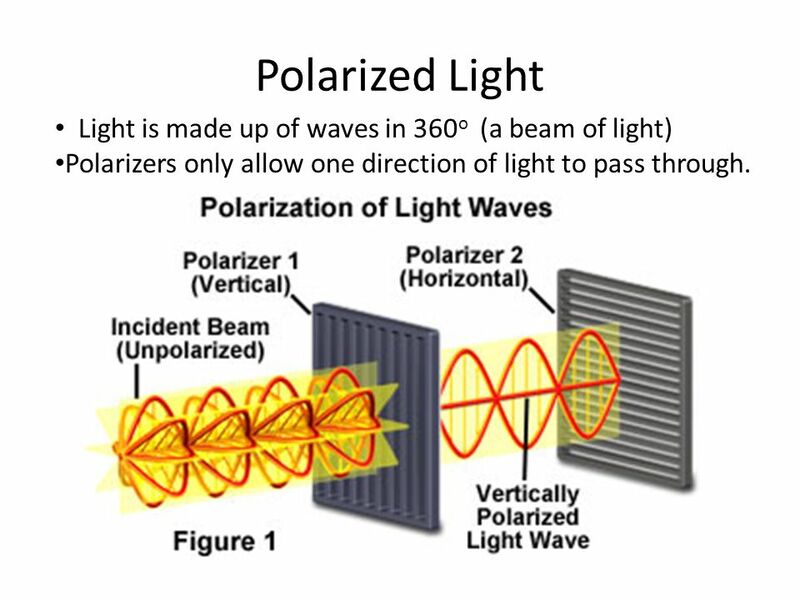 Diffraction refers to various phenomena that occur when a wave encounters an obstacle or a slit. It is defined as the bending of waves around the corners of an obstacle or aperture into the region of geometrical shadow of the obstacle. I need to understand how photons work in both situations, but it is much more important to understand photons and diffraction. That is where all the texts just talk about waves. 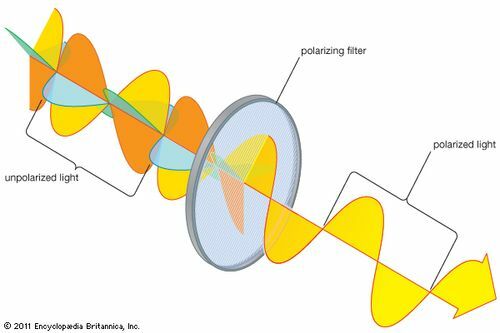 The idea of light photons being diffracted is addressed in many "single photon" experiments, but no one seems to try to explain how such experiments work. They just describe it as a "mystery." It certainly didn't help me to focus on the problem when I discovered podcasts. Podcasts have been distracting me for weeks now. Yesterday I spent nearly the entire day browsing through science podcasts, downloading those that seemed interesting. And, in the evening I listened to parts or all of a half dozen of them. Prof. Sean Carroll's site https://www.preposterousuniverse.com/podcast/ has 35 podcasts in which he interviews scientists such as Kip Thorne, Brian Greene, and Carlo Rovelli. The Big Picture Science web site http://radio.seti.org/episodes doesn't number their podcasts, but they seem to have many dozens, if not hundreds. 5 Live Science https://www.bbc.co.uk/programmes/p02pc9ny/episodes/downloads is a British radio channel BBC 5 web site, and it seems to have hundreds of science podcasts. BBC 4 has https://www.bbc.co.uk/programmes/b00snr0w/episodes/downloads which is titled "The Infinite Monkey Cage," and it seems to have dozens of science podcasts featuring British physicist Brian Cox. People Behind the Science http://www.peoplebehindthescience.com/podcasts/ has 490 podcasts, each one seems to be an interview with a different scientist in virtually every area of science. Neil deGrasse Tyson has StarTalk podcasts at https://www.startalkradio.net/category/startalk-radio/ which seem interesting, particularly since you can browse for interesting topics, instead of just listening to the latest show. 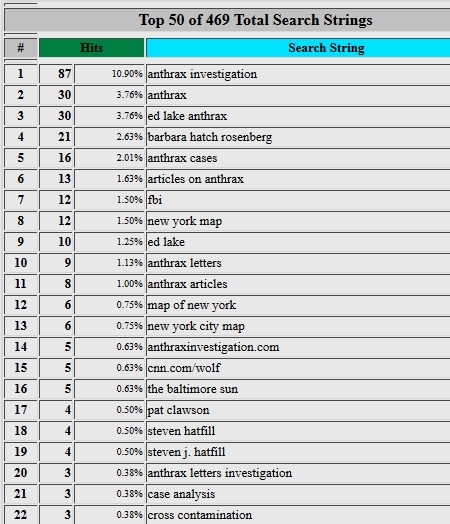 And there seem to be a lot more that I haven't yet browsed. It doesn't help to have many many humor podcasts that also seem interesting. Pick a subject and there are probably podcasts about it. I also browsed some travel podcasts and crime podcasts, but it soon became apparent that I really needed to stick with science and humor. And I really need to find a way to stop browsing those subjects so I can get back to work on my scientific paper about photons. And I probably need to stop writing comments about photons on this web page until I complete the paper. March 1, 2019 - Yesterday evening, at around 6 p.m. I finished listening to another science fiction novel on my MP3 player. 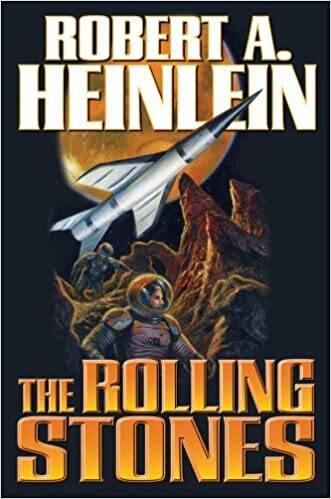 It was "The Rolling Stones" by Robert A. Heinlein, first published in 1952. The Stones, a family of "Loonies" (residents of the Moon, known as "Luna" in the book [from the Roman goddess]), purchase and rebuild a used spaceship and go sightseeing around the Solar System. The book contains a lot of details about orbits, about using gravity to gain speed when going from place to place, and about living in zero gravity and on moons and planets with less than 1G of gravity. No one travels faster than light, and it takes many months to get from the Earth's moon to Mars and from Mars to the asteroid belt. And the book is also about getting sick while you are millions of miles from the nearest hospital. The mother of the two teenage boys is a medical doctor, and she has to transfer to another ship while they are on their way to Mars because a "neo-measles" epidemic has broken out on that ship, and that ship's doctor was one of the first to die from it. The science described in great detail in the book is generally solid, although a bit dated. It contains some details about Martians and the Martian landscape that we now know is totally wrong. Today, no one would ever write a science fiction novel in which there are ancient cities on Mars. We've sent robots to Mars and they've explored Mars, so we know there are no ancient cities (or canals) there, much less life forms. Fortunately, Martians and Martian cities are not critical to the story. They are just mentioned as part of the sightseeing experience on Mars. And it appears that the cuddly, purring "flat cats" that live on Mars have a well-known connection to "The Trouble with Tribbles" on Star Trek.